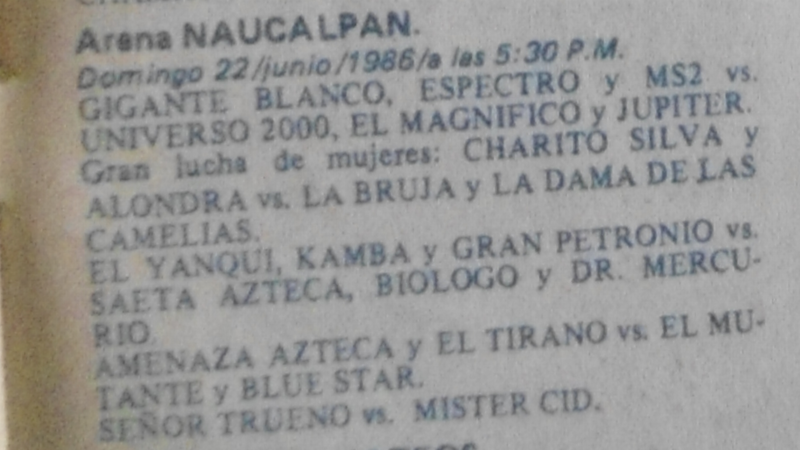 Probably the city title, but listed as the national one. 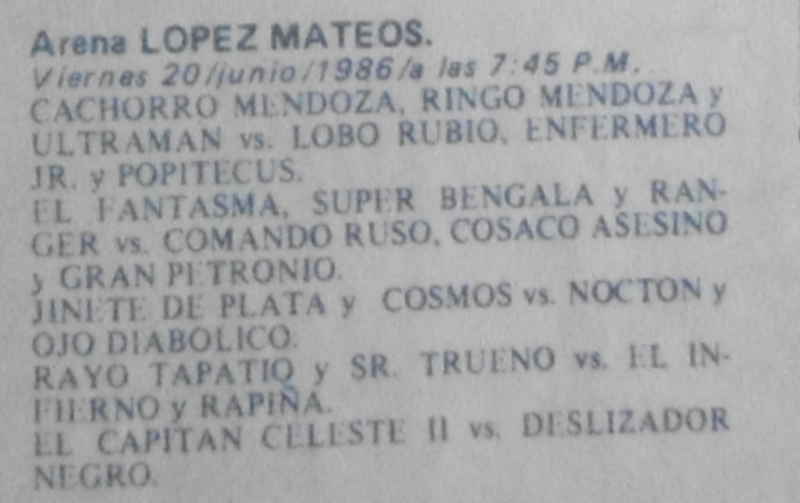 Tony listed as double lightweight champ next week. 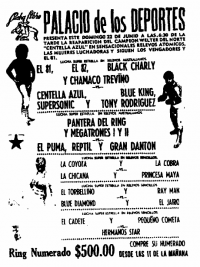 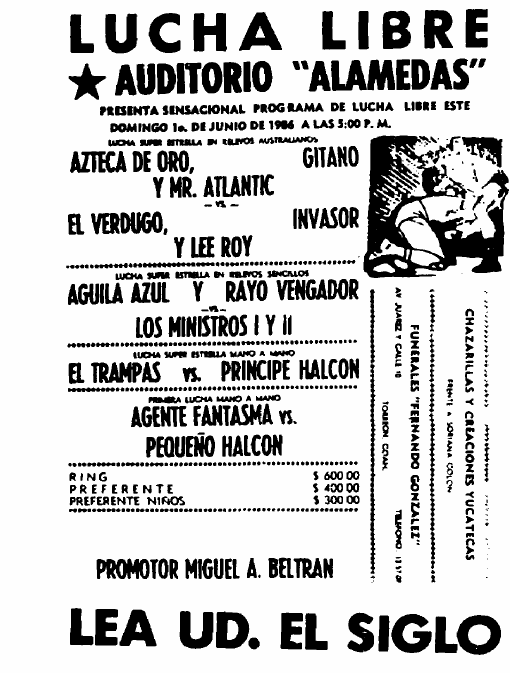 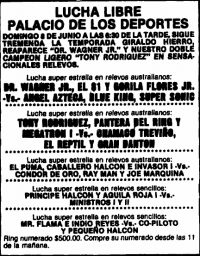 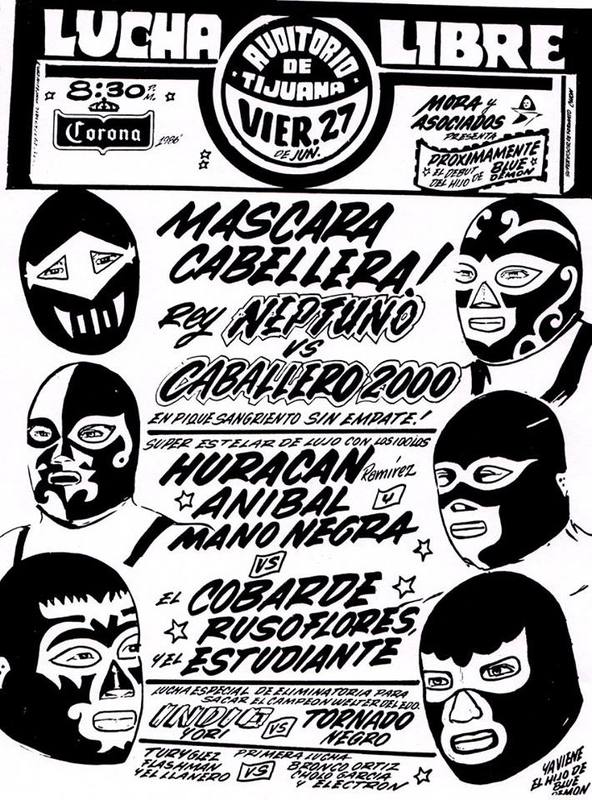 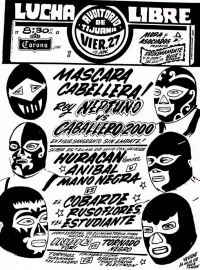 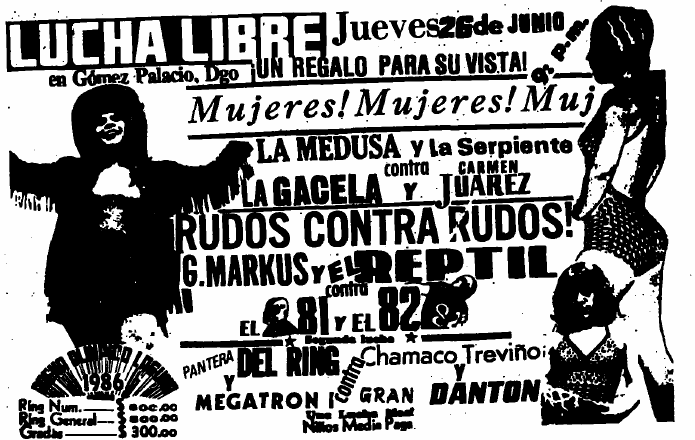 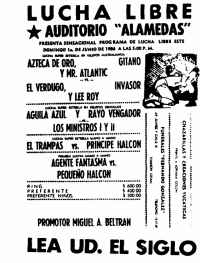 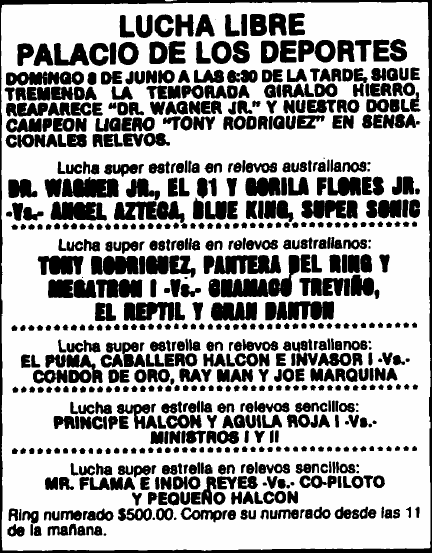 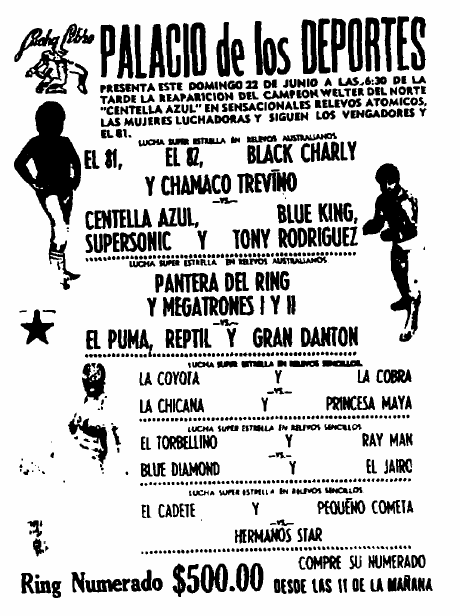 1) Aristóteles II vs Tiburón Jr.
1) Espige De Oro vs ? 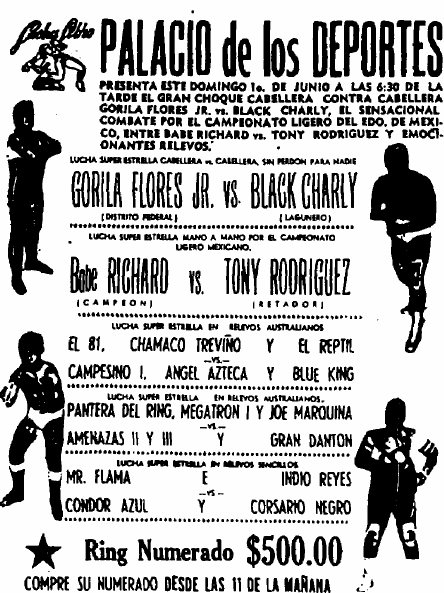 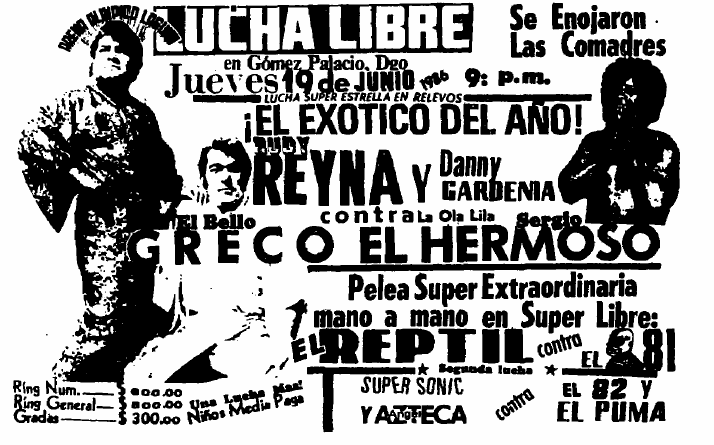 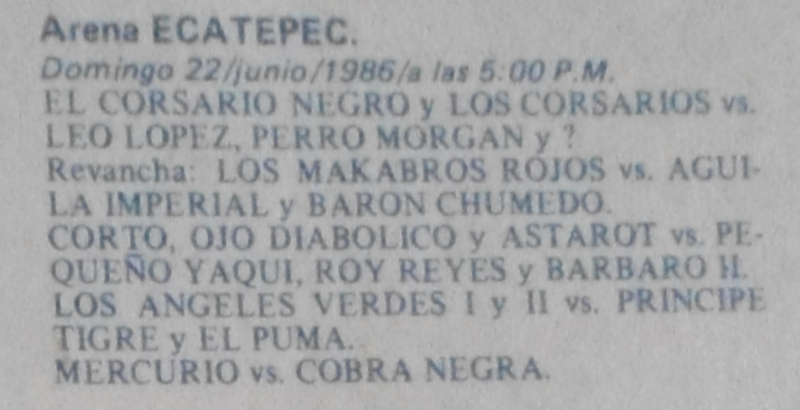 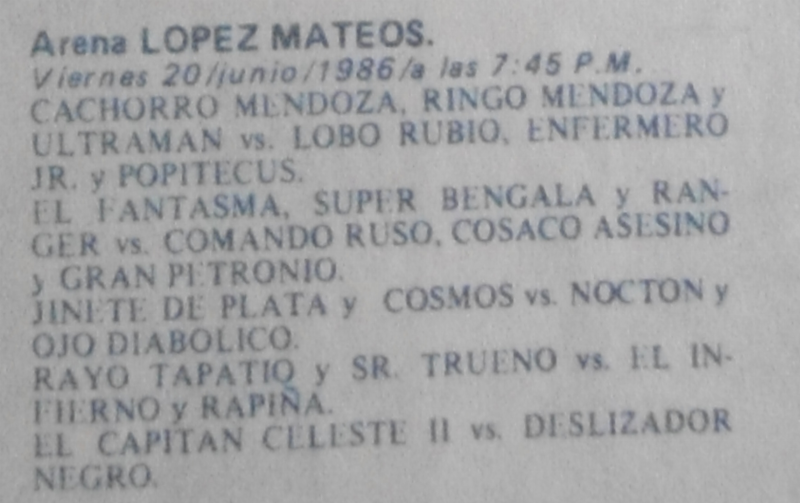 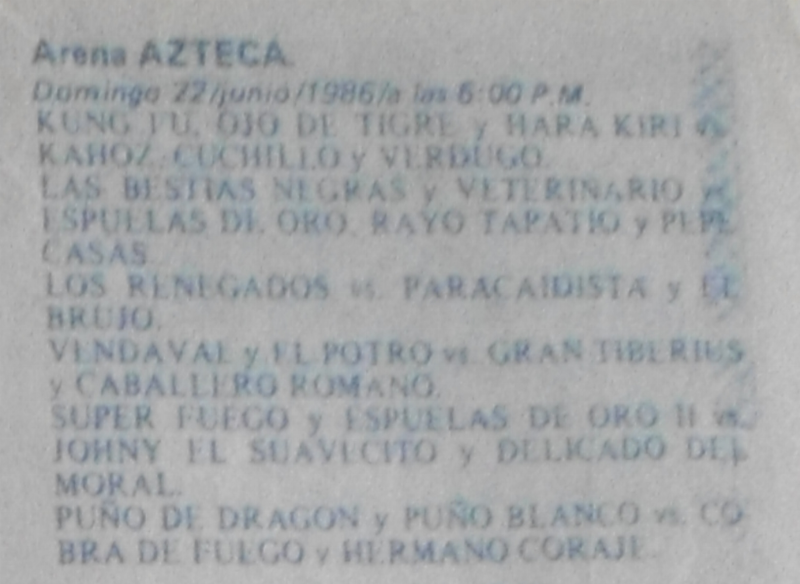 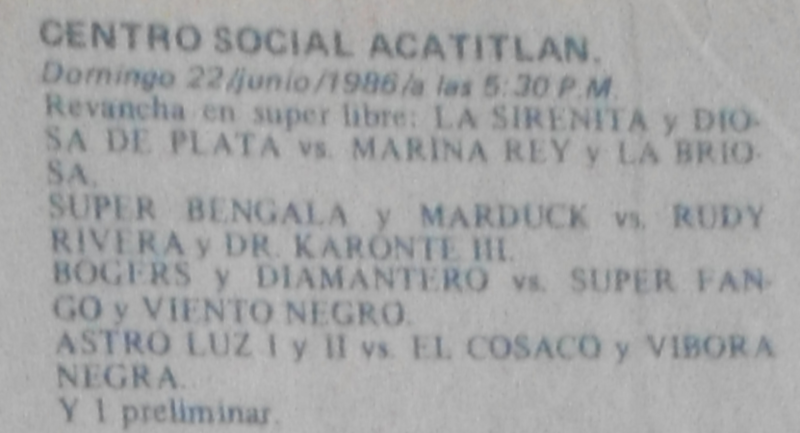 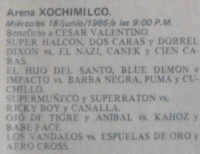 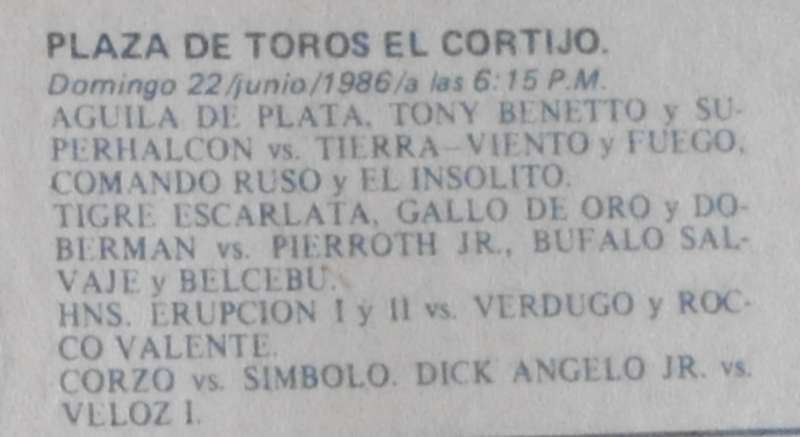 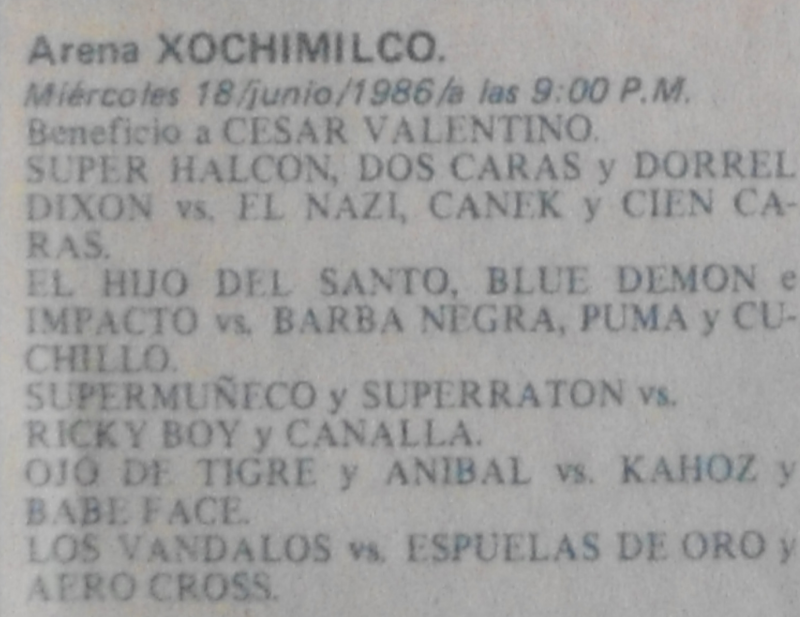 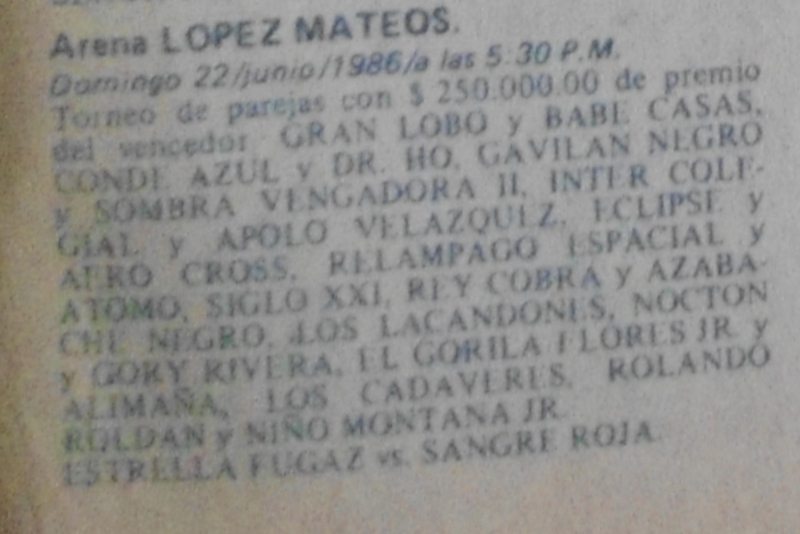 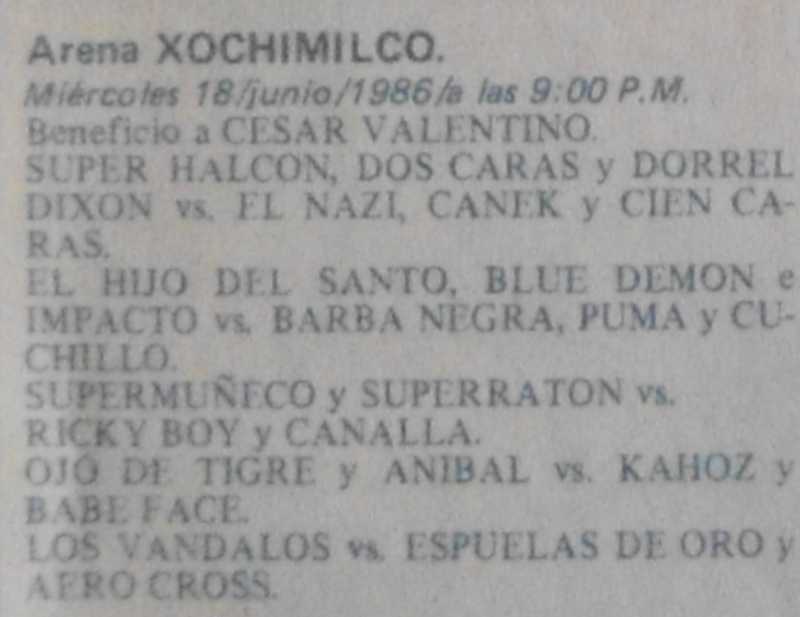 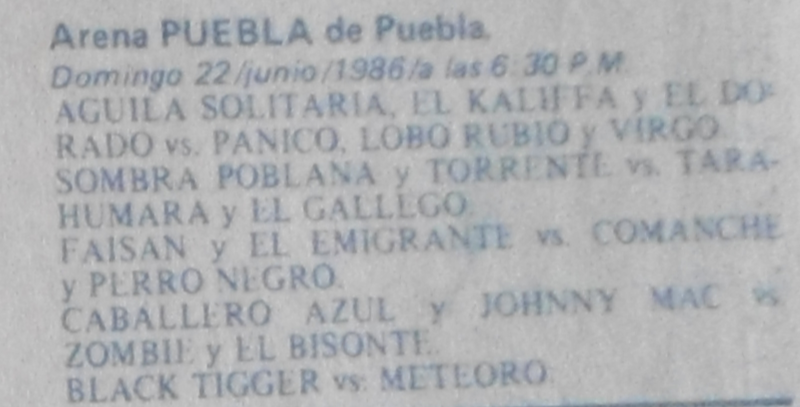 4) El Doberman, Gallo de Oro, Tigre Escarlata vs Belcebú, Bufalo Salvaje, Pierroth Jr.